When I used to plan meals for the week, I’d be on my feet in the kitchen for at least 5 or 6 hours. Since I converted to the Instant Pot, my Sunday routine has been cut down from SIX to TWO hours. I know a lot of you may have not had luck with the Instant Pot or perhaps don’t believe the hype and that is totally okay, but I’m 100% converted. Like, Instant Pot Believer over here. Let’s jump in and see what I managed to cook in less than 2 hours this morning. First up: Red Lentil Soup with Spinach. Publix was out of red lentils, so I just got brown and everyone survived. This was super easy and a great way to use up my Jones Valley Teaching Farm carrots. I even had enough to freeze. While the soup was cooking, I started on this Cheesy Rotisserie Chicken Enchilada Skillet. I had left over rotisserie chicken from last week, which was perfect to use in this recipe. I used canned everything (black beans, chicken stock, and enchilada sauce). You can do you and make it from scratch if you’d like. I made it on the stove and then stuck it in the oven to finish it off. While the Cheesy Rotisserie Chicken Enchilada Skillet was baking, I quickly cooked some ground sirloin with taco seasoning. I plan to give this to the kiddos this week because God forbid they have to eat something like chicken enchiladas or lentils. I rounded out the morning with some meal prep for me: Boiled Eggs and Low-Fat Ranch Dressing. As you can see from all of the links above, Skinnytaste is my go-to for recipes. Look at these eggs. 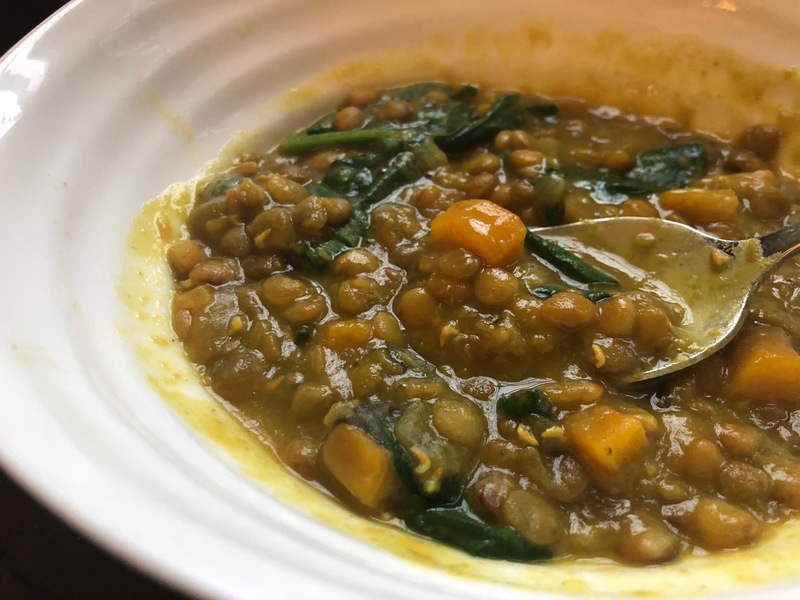 Skinnytaste’s recipes are easy to follow, always delicious, can be counted via calorie-counter or Weight Watchers, and she has a treasure trove of Instant Pot recipes. She’s like the perfect guide if you are starting new this year and trying to be accountable calorie-wise and she’s especially helpful if you happened to get an Instant Pot over the holidays. Win. Win. Wishing all of you a great start to your week. A Confession, An Apology, and Some Chicken and Noodles.